Your presentations on Slides can easily be embedded inside of other pages such as personal sites, blogs or news articles. 1. 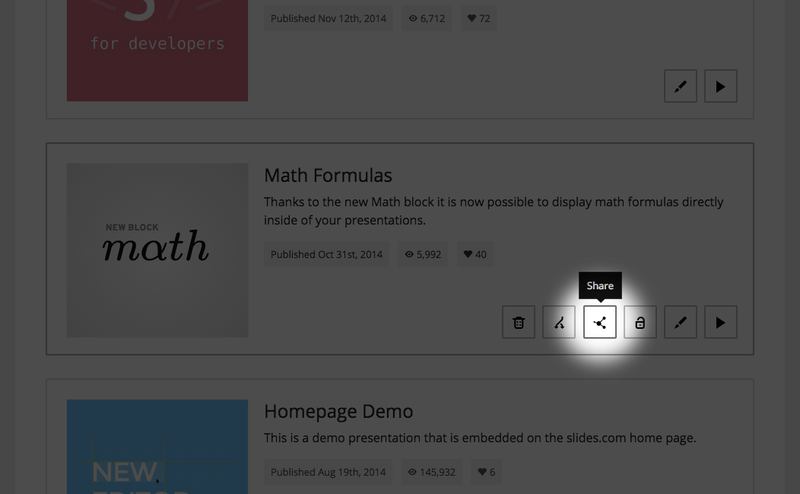 Open the Share popup, it's available on the user profile, edit and presentation pages. 3. Copy the generated code that appears below the options and paste it into the HTML source of your site. Below are three examples of embeds, showing each available embed footer style. 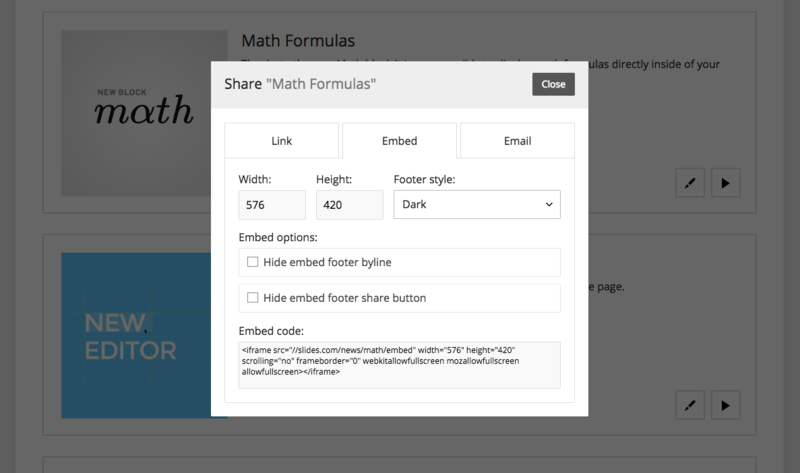 These styles are useful to make your embed blend better with the surrounding page. The third "hidden" style which removes the footer entirely is only available to paid users.